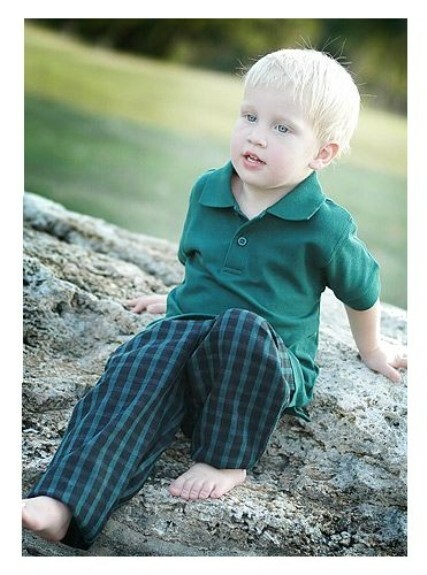 Durable nice quality 100% cotton plaid pants in a navy blue and hunter green with a bit of red. Toddler sizes. Elastic back, pleats and belt loops. Straight leg. They run true to size. Great dressy-casual golf style pants for school and everyday. Pair with the hunter green golf polo or pirate long sleeve jersey shown below.